When I began my journey through textile history I quickly realized there were several paths one could take. I could see the advantage in specializing in one particular area such as costume, or one particular period of time, such as medieval textiles. For me, the problem with that approach is that you then sacrifice the overall picture of how everything (history, culture, economics, climate…everything) interacts. Sort of not seeing the forest. I felt I would be better served with an overall study, if, then, later I could specialize. Following the example of art history where one is introduced to art from prehistoric to contemporary ( sort of Art History 101). I began categorizing my research into time periods, each of which was subdivided . 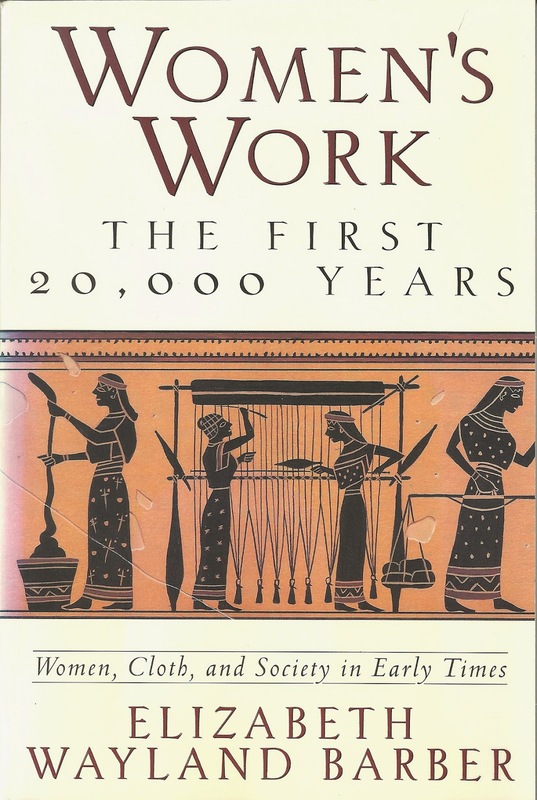 I have to confess I continued to collect information on any aspect of textile history, attending any workshops and lectures, classes and museum exhibits that I could find. Slowly, I was able to make some organization of all the materials and now I can file information and actually find relevant material for lectures etc. 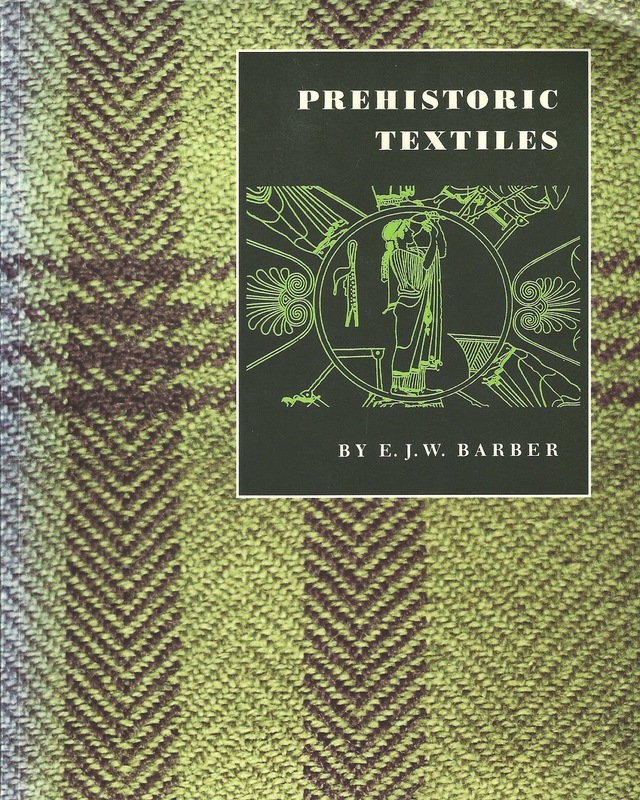 Starting with my Textile History 101, I found the works of Elizabeth Wayland Barber, a professor of linguistics and archeology. 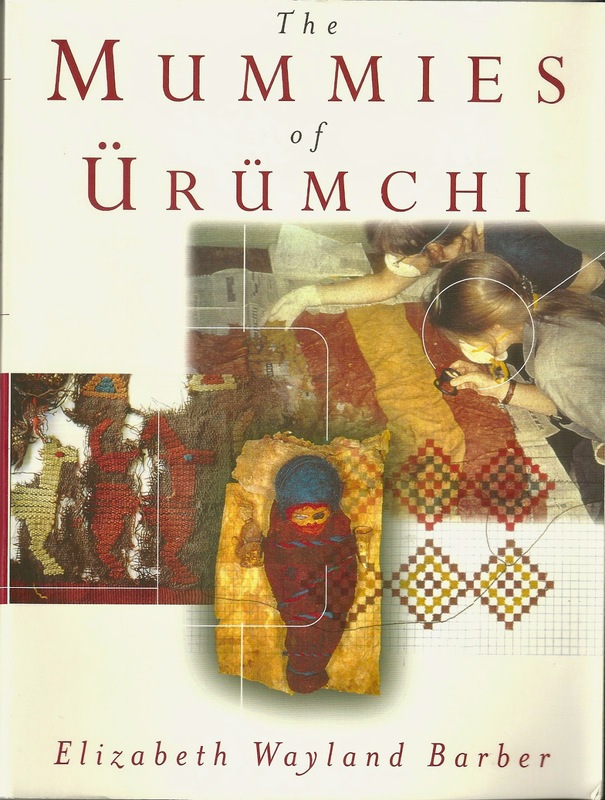 Her work with prehistoric and early textiles is so very impressive and her reference books provide information that is easily understood, despite their academic format. Valuable sections of bibliographies, notes and lists of additional readings allow further research, if necessary. I have turned to her expertise time and again over the years. I have been fortunate to have attended several lectures by Ms Barber. She is an energetic, knowledgeable, and great speaker and I thank her for contributing to my foundation of textile studies.